Internet is a major part of our lives, and most of us use it on everyday basis. Unfortunately, issues can occur that can prevent you from accessing the Internet. Many users reported Windows has detected an IP address conflict message, and today we’re going to show you how to fix this problem on Windows 10. In most cases, Windows has detected an IP address conflict message appears due to certain glitches with your network configuration. According to users, you can fix this problem simply by restarting your router. To do that, simply press the power button on your router to turn it off. Wait for about 30 seconds and turn the router back on again. Wait until your router turns on completely and check if the problem is resolved. This might be just a temporary solution, but it should help you fix the problem. Keep in mind that the issue can appear again, so you’ll have to repeat this solution. After all commands are executed, close Command Prompt and check if the issue is resolved. Some users prefer using a static IP address for their devices. This makes it easier for them to find a specific device on their network. However, if you set a static address it can occur that another device has the same IP address, thus causing IP address conflict to occur. 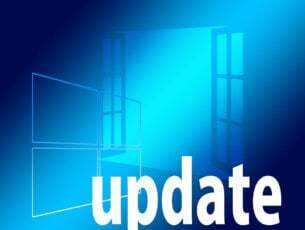 To fix the Windows has detected an IP address conflict message, you need to make sure that your device is using a dynamic IP address. Press Windows Key + X and choose Network Connections from the menu. Locate your connection on the list, right click it and choose Properties from the menu. 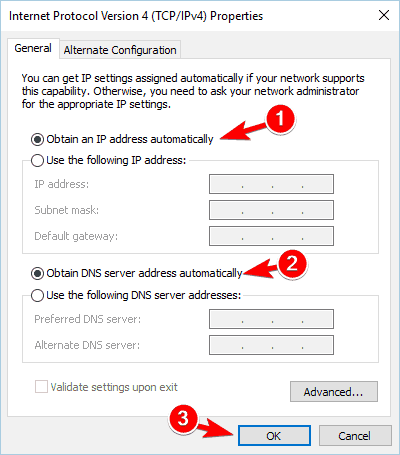 Make sure that Obtain an IP address automatically and Obtain DNS server address automatically options are checked. Click OK button to save changes. There are two types of IP addresses, IPv4 and IPv6. According to users, some devices aren’t compatible with IPv6, and that can cause this error to appear. 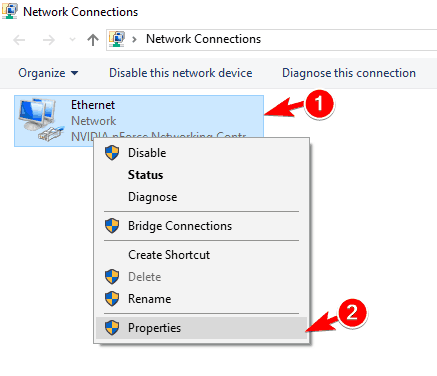 Open Network Connections window, locate your connection, right click it and choose Properties. List of options will appear. 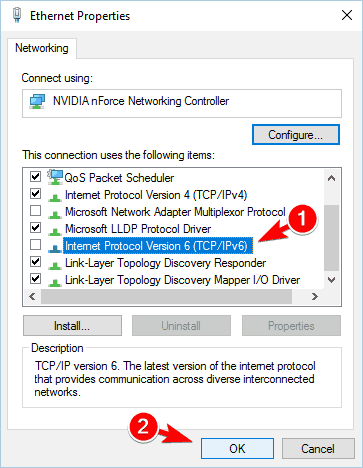 Locate Internet Protocol Version 6 (TCP/IPv6) and uncheck it. Now click OK to save changes. 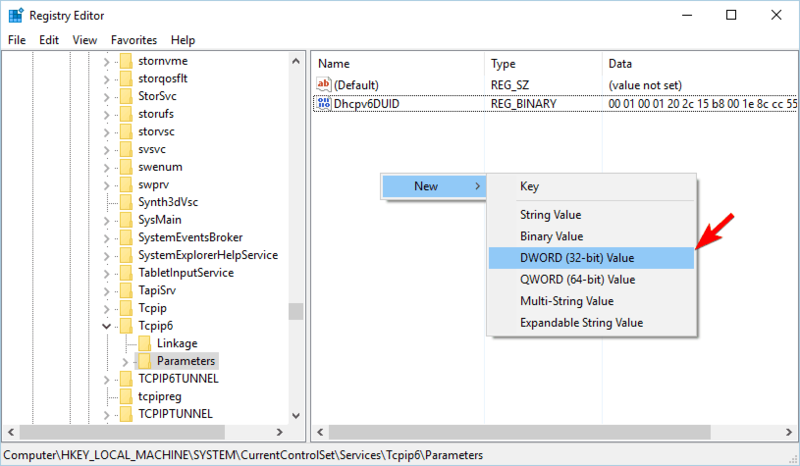 When Registry Editor opens, in the left pane navigate to the HKEY_LOCAL_MACHINESYSTEMCurrentControlSetServicesTcpip6Parameters key. In the right pane, look for DisableComponent DWORD. If this DWORD isn’t available, you’ll need to create it. To do that, right click the empty space in the right pane and choose New > DWORD (32-bit) Value. Enter DisableComponent as the name of the new DWORD. 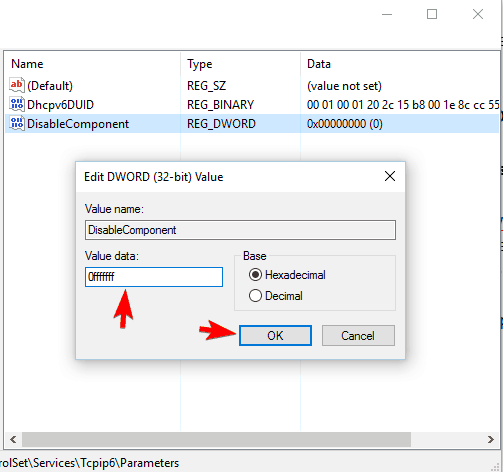 Double click the new DisableComponent DWORD to open its properties. Change Value data to 0ffffffff and click OK to save changes. Close Registry Editor and restart your PC to apply the changes. As you can see, this solution is rather simple, and if you want to disable IPv6 for a specific adapter simply follow the steps from the beginning of the solution. If you want to disable IPv6 for all adapters, you’ll have to disable IPv6 by modifying your registry. According to users, Windows has detected an IP address conflict message appears after disconnecting from the VZAccess Manager. Reports say that this error occurs if they disconnect from the VZAccess Manager without closing the application afterwards. This will cause the error message to appear again after reconnecting. To fix this problem, users advise to disconnect from VZAccess Manager and close the application completely. After doing that, try to connect again and check if the error message appears. Few users reported that they encountered the same problem while trying to obtain a new IP address. 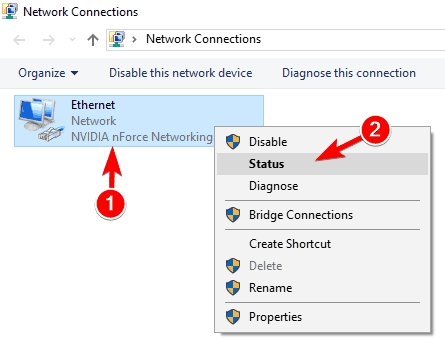 If you’re frequently getting Windows has detected an IP address conflict message, you might want to try disconnecting your Ethernet cable. After doing that, wait for a few moments and connect your cable again. Go to the Network adapters section and locate your Wi-Fi adapter. Right click it and choose Disable from the menu. After disabling your network adapter wait for a few moments. 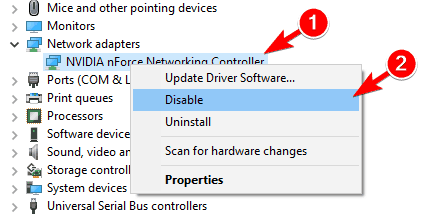 Now right click the adapter again and choose Enable from the menu. 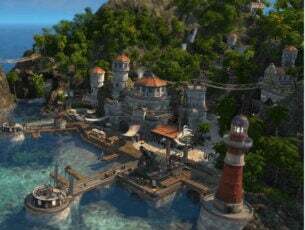 After doing that, check if the IP conflict issue is resolved. According to a few users, you can solve this issue simply by changing the encryption type on your router. To do that you need to open your router’s configuration page and log in with your sign in details. Now navigate to the Wireless section and you should see encryption field available. Changing the encryption from WEP to WPA2-PSK [AES] fixed the issue for them, so be sure to try that. In addition, you might have to experiment with different encryption methods until you find the one that works for you. We have to mention that not all encryption methods are safe, and some offer better protection than the others. After changing the encryption type, you’ll have to reconnect to the network on all wireless devices in your home. In order to protect your privacy online, you can use a VPN. Although VPN tools are extremely useful, they can sometimes cause Windows has detected an IP address conflict message to appear. According to users, this issue occurs when their computer wakes up from sleep mode. It seems that VPN shuts down when users activate sleep mode thus causing this message to appear. To fix the problem, you need to restart your PC and reconnect to your VPN service. After doing that, the problem should be resolved completely. We recommend using a highly reliable VPN that doesn’t bother you with errors. Get now CyberGhost (77% flash sale), a leader on the VPN market, trusted by 15million users with a confidential, secure and high-speed network. If you keep getting Windows has detected an IP address conflict message on your PC, you might be able to fix it by setting a static IP address for your PC. Before you do that, you need to change DHCP settings on your router. DHCP is in charge for assigning IP addresses to all devices that are connected to your router. To change how DHCP works you need to access your router’s configuration page. After doing that, open DHCP section and set the address range from 192.168.1.5 to 192.168.1.50. After doing that, all devices that are connected to your router will have an IP address between these two values. Open Network Connections window. Right click your connection and choose Properties from the menu. Now select Use the following IP address option and fill in all the fields. Be sure to enter DNS information as well. 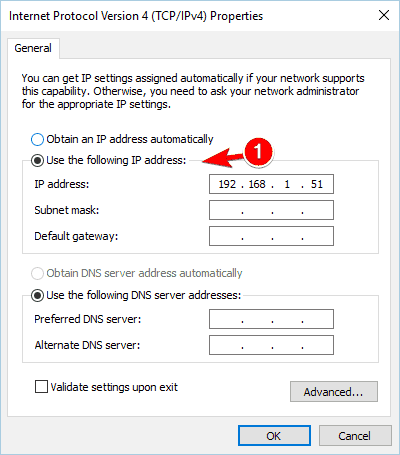 Regarding the IP address, use 192.168.1.51 or any other value that is outside of the DHCP range. Open Network Connections window. Locate your connection, right click it and choose Status from the menu. 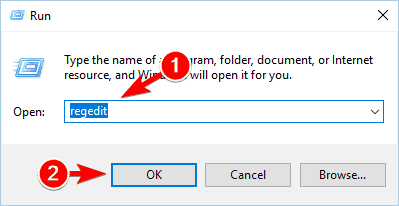 Alternatively, you can just double click the connection to open the Status window. When Status window opens, click on Details button. From there you should be able to locate the necessary information. 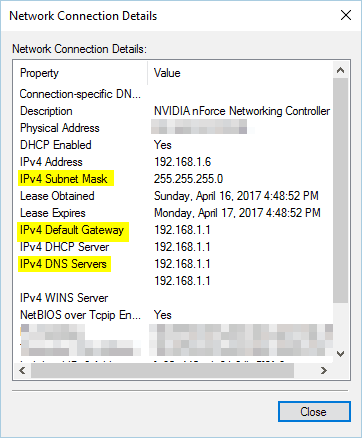 After setting a static IP address that is outside of the DHCP range, you’ll ensure that your address is unique on your network thus eliminating the cause of this problem. If you have both modem and wireless router, sometimes your network configuration can cause Windows has detected an IP address conflict message to appear. To fix the issue, we are recommending to change the IP address of your wireless router. According to users, changing the address of wireless router to 198.168.2.1 fixed the issue for them, so be sure to try that solution. 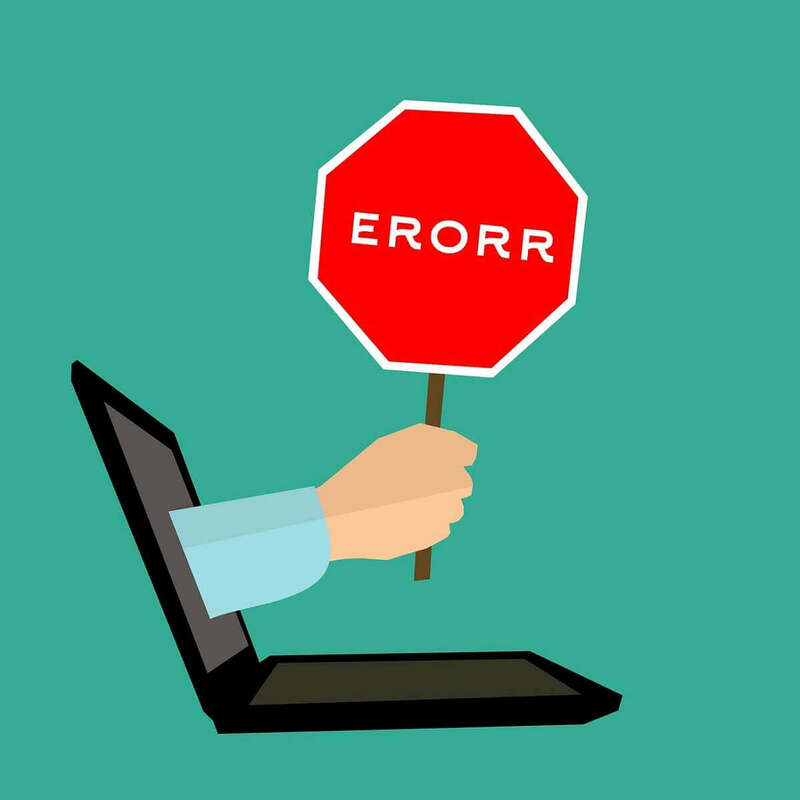 This error usually occurs if there are any issues with any of your network devices. Sometimes two devices can have the same IP address, and that can lead to network conflicts. To fix this problem, we are suggesting to restart your router. However, sometimes router restart doesn’t fix the problem, so you’ll have to disconnect all devices from your network. First, turn off your router. Now disconnect all devices from your network. This includes laptops, smartphones and any other network device. If your PC or any other device is connected via Ethernet cable, be sure to disconnect it. Now turn on your router and wait until it starts completely. Turn on and connect your network devices one by one to your router. By doing so, you’ll ensure that all devices have a unique address assigned to them. After connecting devices one by one to your router, the problem should be resolved. This solution may work only until you turn off your router, so if there’s a power outage you’ll have to repeat this solution. Sometimes Windows has detected an IP address conflict message appears due to your DHCP lease. DHCP lease is a value represented in seconds that specifies how long will assigned IP addresses be valid. After the lease time expires, your devices will obtain a new IP address. According to users, it seems that this problem occurs because lease time was too short. 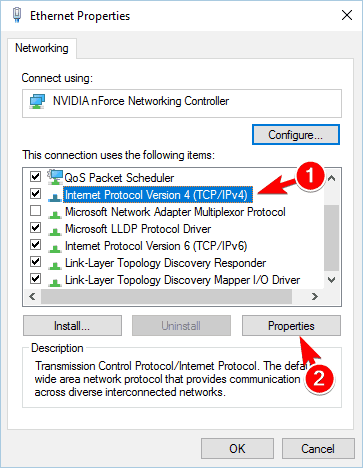 To change the lease time, open your router’s configuration page and go to DHCP section. Now locate lease time and change it to 86400 seconds. Save changes and check if that fixes the problem. You can fix this problem simply by disabling bridged connection. 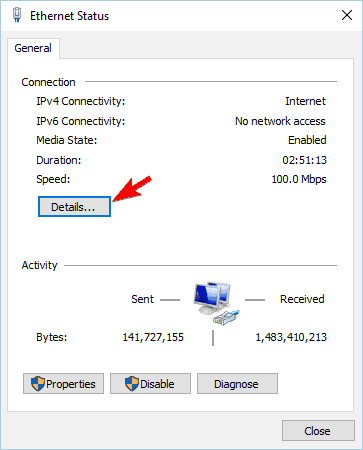 Users reported Windows has detected an IP address conflict message while using bridged connection, but you can easily avoid this problem. All you have to do is use Internet Connection Sharing instead, and the problem will be fixed. 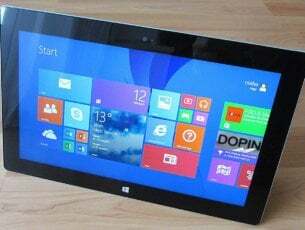 Windows has detected an IP address conflict message can cause problems and it can prevent you from accessing the Internet. If you have this problem on your PC, we advise you to try some of our solutions. Feel free to share your experience in the comments section below and tell us what worked for you or any other solution that you found.